The 2016 season accomplished two major goals. 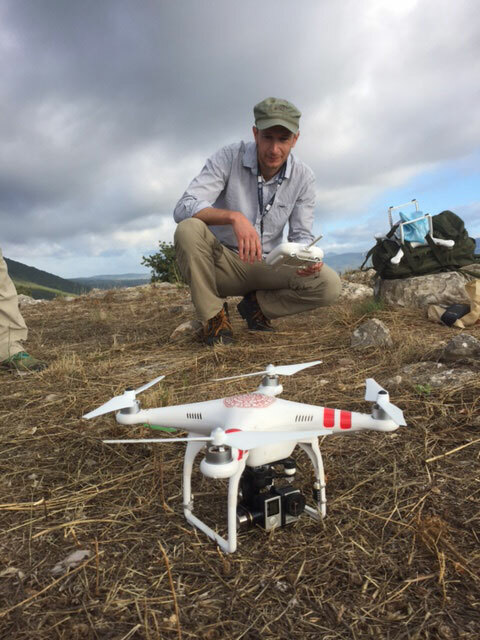 The first of these was the drone photography of the site, intended to produce a color image to overlay onto the 3D data gathered via the terrestrial laser scanner. 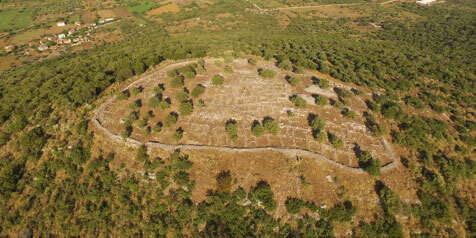 Additionally, imagery of the landscape surrounding the settlement was collected, expanding the 3D model. 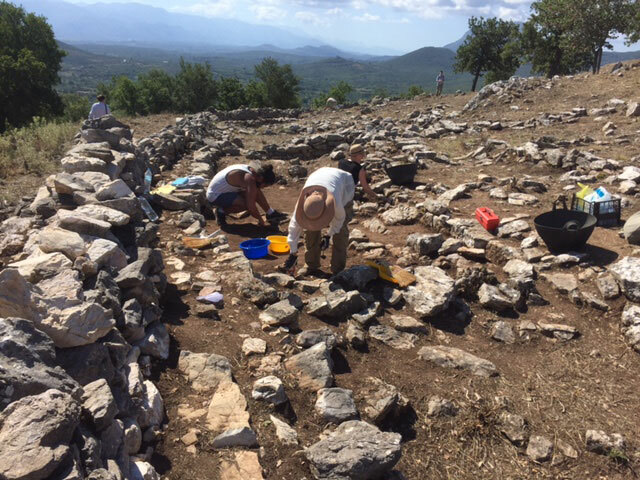 The second goal of the 2016 season was to carry out preliminary excavations of portions of the settlement, focusing on areas of the settlement wall and discrete portions of the interior of the settlement itself. This work was intended to provide 1) a more accurate and updated pottery sequence that might be used to date particularly the settlement wall and 2) materials that might be sampled for carbon dating, to establish in some way the absolute chronology of the site. Particular attention was given to the stratigraphic excavation of this material, and to documenting the construction of the settlement wall and adjacent rooms. Three trenches were opened toward these ends, one of which was excavated to bedrock. Abundant ceramic, bone, and stone artifacts were collected, and study of these is currently underway. Further exploration particularly of the stratigraphic sequence is planned for 2017.